This is topic Reminder -- Send in your manuals in forum 8mm Forum at 8mm Forum. For those of you who have not gone to my main website www.film-tech.com and seen the collection of manuals available for download (free of charge, of course), take a quick look and see how it works. Just click on that link and then click on "manuals". To anyone who can photocopy manuals of their equipment, please email me and I will give you an address to mail the photocopies to. I will then convert them to Adobe pdf format and make them available to all for free download. For those of you who can scan the manuals directly, let me know via email and we will make appropriate arrangements. I will accept any projector or camera manual. also other languages as english? English is preferred since this site is all English-based. If there is a machine that after a bit of time we do not have any kind of manual on, we may consider posting other language versions. With the introduction of the 16mm forums here, be sure and send in your 16mm manuals as well. We will host them all, and ALWAYS free of charge. I have one of those defective HP V40 Fax/Copiers and it has stopped working. As soon as I purchase another machine I will send some info. Sinds the manual page from Filmshooting.com has closed, it's much harder to find a manual for free on the internet. But before it closed I downloaded them all. I also added a lot of others that I found. I think it is a good thing to share these with others. Do you want my database with lots of common filmcamera and projector manuals? I'm sure Brad will love to have those on this site. Yes its sad that they seem to have closed that area of their web site down as they had loads of interesting stuff related to film, cameras, projectors etc. It's over to you Brad on this one. Sound good Hans, please email them to me one manual per email and I will get them updated on the site. about a month ago I sent you the manual for the Eumig S938 projector. I hope you got it. There are probably some forum members who can use a copy. Brad & Co., I don't see any camera manuals in the Film-Tech area. Any plans? Need some? - posted October 29, 2004 03:04 PM Profile for Brad Miller Author's Homepage Email Brad Miller Edit/Delete Post For those of you who have not gone to my main website www.film-tech.com and seen the collection of manuals available for download (free of charge, of course), take a quick look and see how it works. Just click on that link and then click on "manuals". Is this still available for manuals? hey looks like a great website but can't seem to find any manuals for a nizo s30 super 8 camera, either here or online else where... any one know of where i can find? I think the S30 had a 3 to 1 zoom, auto/manual exposure, 18 & 24fps filming speeds and single frame. Early 70's? Not sure if this thread it too old to post on... I'm looking for lamp replacement instructions (and bulb) for a Kodascope Eight Model 70. I didn't see it on the film-tech web site. Does anyone have a manual or instructions on how to remove the bulb? Still looking for this manual or some instructions, and a bulb. Any ideas? Here's my annual request for assistance... does anyone know of any place on earth that I could learn how to replace the bulb on this Kodascope Eight Model 70 machine? Thanks. Nov 2016. I finally found the answer to my question, thanks to the person that posted http://camerabooks.com/ I was able to obtain a manual with instructions on how to replace the bulb. Thank you! Purchased the bulb and voila! It works! Does anyone know where I can get a service parts manual for a Sankyo 600 or 700? 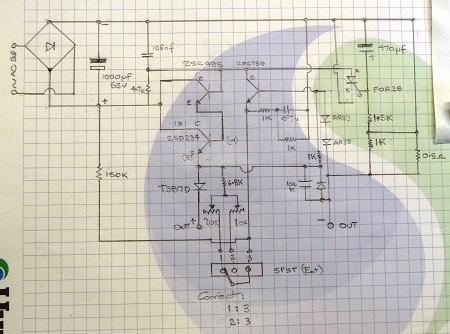 Hi, this is not a manual, but it is a circuit diagram a friend of mine did for the Speed Control PCB for Sankyo 600 and similar models and also Titan Super Sound. Both the Beaulieu manuals are in English. The Elmo manual is in English. Please allow me a little time for anyone who would like a copy as they are not digitized at the moment. BELL & HOWELL DCT Manual scan in English now available. Looking for GAF 3000S manual in PDF format. Anybody who can please share? I have a couple of camera user manuals that I will send in. In the meantime, if anyone needs one now, I'm happy to get scanning. They are for the Nizo S-800, and the Beaullieu 6008S. Dave...I have the instruction manual for the MX33 which is almost identical to the QX80 except has fewer speed control options. If you want a PDF copy of that manual, please PM me with your email address and specify the name of the manual you want me to send you. If anyone has a copy of the instruction manual for the Bolex 18-5 standard model, I would greatly appreciate a copy. Does anyone have a repair manual for the Bolex 18-5? I need to replace/lubricate/fix a frozen rear spindle. I have a GAF 2000S that I haven't used for a while. I bought it privately and no manual came with it. It worked great last time I used it. I am looking for a service manual for a Eumig MARK 610D? Anyone? Hi Ron PM me your email address and I'll send it to you. I am looking for a Keystone 965 manual, I've spent several hrs on Google et. all to no avail. Patrick...Did you try this link to see if they had it? I picked it up via that link, thanks for your assistance! Does anyone have a digital copy of the manual for the Sankyo Dualux 2000H handy by chance? I am looking for a Bell & Howell 254R service/repair manual. I am new here and thank you for having me. And Im still looking for the bell and howell DCM should anybody have it? Does anyone have Eumig service manuals? Janice, I see you have the 610, but it would be great if someone could forward S938/940 to Brad for publishing, if they have it. Would love to have the Service Manual for the EUMIG MARK 610D. Anyone? BTW: @Brad, did you receive my mail - EUMIG MARK 610D User Manual - in good order? I emailed the "EUMIG MARK 610D User Manual" a while ago. It is still not listed in the manual section on this forum. Is something wrong with the manual? I have the Bolex SM80 intstruction manual in German; do I scan and upload it? Only administrators can upload manuals. Please scan the manual and send me the pdf file using my email link. Thanks! Need a manual for an Argus Dualmaster 2810 Editor/Viewer, or or similar machine. If anyone has one or know where it can be obtained, please let me know. Hi Brad. Have you got the instruction book for Eumig 8mm MARK S 710D???? If it's not listed in the upper left index link, we don't have it.